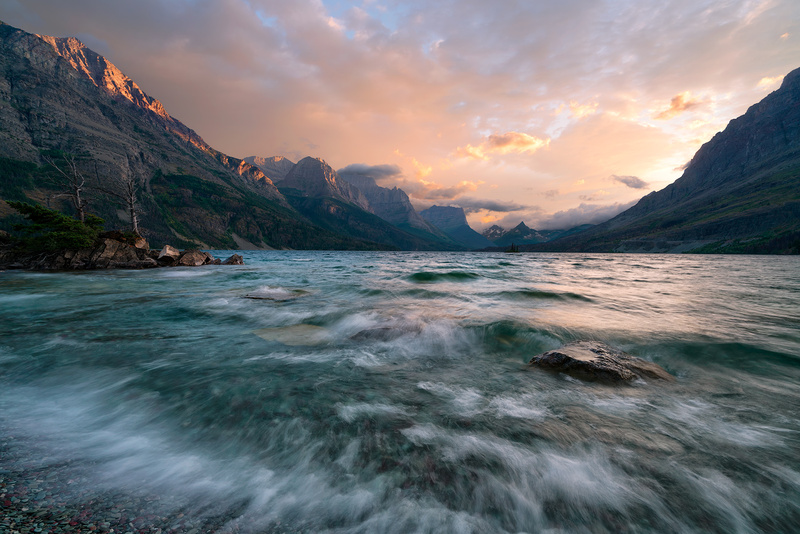 As I stand here feeling so small among these giant peaks that reaches for the heavens while beautiful St. Mary Lake takes the punishing wind and forces the crashing waves in front of me, my thoughts are turned to how can her beauty not move anyone to tears? You must realize at some point in your life that nature has the power to heal your soul and the feeling of being small becomes an inspirational journey to find ourselves on this beautiful planet. Don’t waste a minute to visit Glacier’s pristine mountains, spectacular lakes and trails; for sure - she will make you feel small again and provide lasting peace.